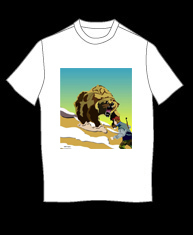 “Grizzly” tshirts are white 100% cotton tees with my artwork measuring 11.5” x 13.5” on the shirt. confirmed via email after order is placed. 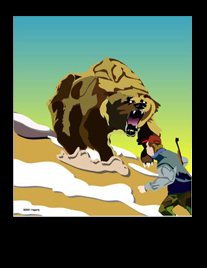 “Grizzly” canvas print is on my premier quality medium - high-res UV print on canvas measuring 23” x 27” and bound to a wooden frame.